Sat.tv is the TV guide for free channels on HOTBIRD and Nilesat/eutelsat 7W satellites. 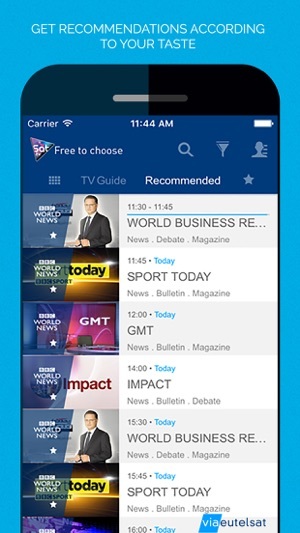 The guide provides you with all the tools you need to be able to find out which programmes are on air at any time, to single out their favourite channels and programmes, and receive personalised recommendations and alerts to ensure that they never miss a show. 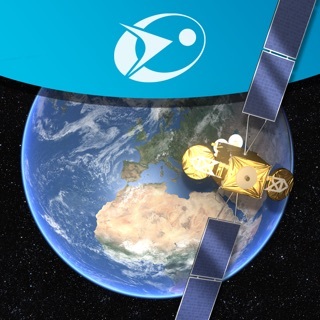 The TV guide for free channels on HOTBIRD and Nilesat/eutelsat 7W satellites is an intelligent TV guide that can be adapted to suit your preferences so that you no longer need to search through hundreds of programmes and channels. Browse through TV programmes on more than 400 channels in the HOTBIRD and Nilesat/Eutelsat 7W packages with more than 34 languages and 15 genres of entertainment to choose from! Select the languages and genres you want and display only those TV channels that are of interest to you. Keep watching the usual channels and programmes that you enjoy while discovering other TV programmes that just might become your new favourites! Bookmark your favourite TV channels and entertainment for a personalised viewing experience. 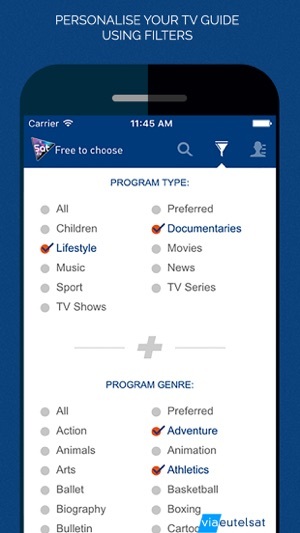 Be guided through the world of TV: Sat.tv will recommend TV programmes to match your preferences. 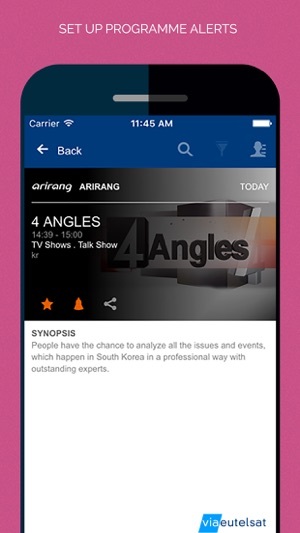 Share your favourite shows with your communities on social networks and comment on programme highlights as you watch! Set up alerts for TV programmes that you don't want to miss and receive notifications as soon as they are aired. Get news about your favorites channels and TV programs with push Notifications. Bugs have been corrected to give a better experience.